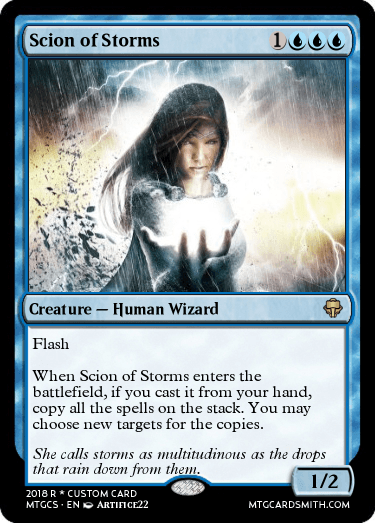 - A Mystery Challenge: Create a legendary Stormscape creature. - A Mystery Challenge: Create an Aura card that enchants an artifact. 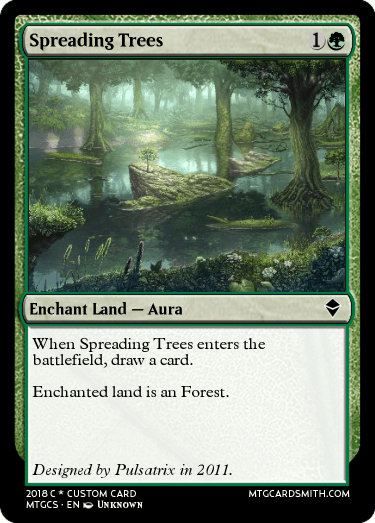 The idea for this card came from a gatherer comment on Spreading Seas in 2011. - A Mystery Challenge: Create an adept creature. Here is my "Aura card that enchants an artifact"
- A Mystery Challenge: Create a land that you put some kind of counters on. - A Mystery Challenge: Create a creature card that's a sprite. - A Mystery Challenge: Create a green, non-Aura enchantment. @jpastor Another one please! Man this gets my ideas flowing. 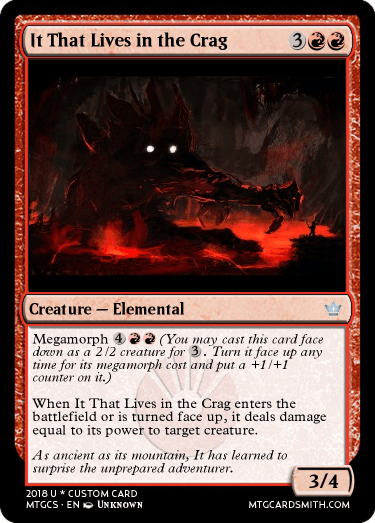 Challenge: Create a card with crag in its name. @jpastor I have an older one, can I use it? 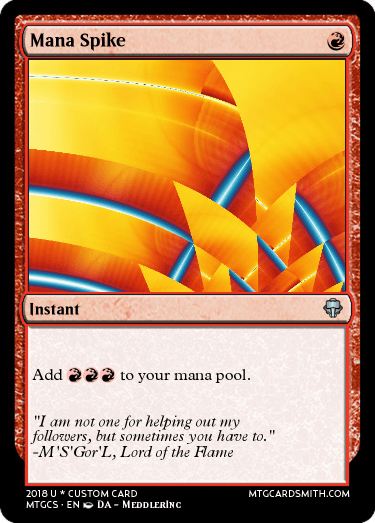 - A Mystery Challenge: Create a Boros clan card. - A Mystery Challenge: Create a card with blue skies in the artwork. - A Mystery Challenge: Create a new Mangara's spell. @TigerFang8 No old cards aloud unless you have a special prize that allows you to submit an old card. You don't have any of these special prizes in your possession. 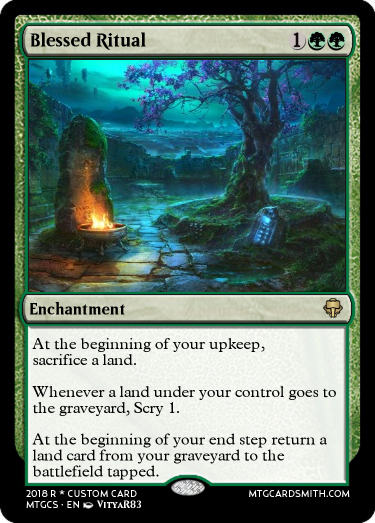 - A Mystery Challenge: Create a permanent that you sacrifice to search your library for a basic land card. @jpastor Hit me with another one. I already won a follow. What happens now? - A Mystery Challenge: Create a creature that's a scion. There are two-ish prizes that are useless if youve already opened it. A follow is one. Just a junk item at this point. @jpastor I'd like to take another crack at this. - A Mystery Challenge: Create a Wall creature with an activated ability. 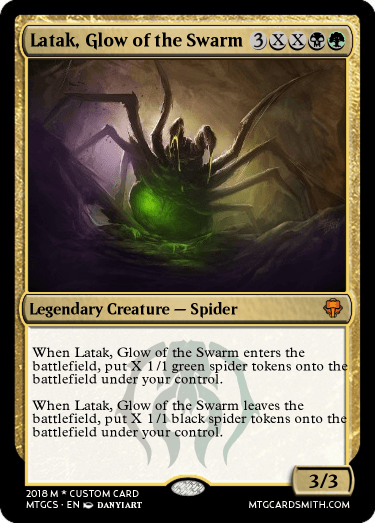 A card with an additional cost. - A Challenge Pick: Create any new card you want and submit it for this box's mystery challenge entry. The next Cardsmith's mystery box challenge will be inspired by your card. - A Mystery Challenge: Submit any newly created card. You have 1 day to submit. - Mystery Box 53: Will be revealed along with your mystery challenge asap. - A Mystery Challenge: I will reveal your challenge as soon as possible after @SpiritDragon submits a card. - A Mystery Challenge: Create an artifact card that's similar to this one, but for another set and different rules text. - A Mystery Challenge: I like the card Natural End. Create a card similar to it, but make it unique. Challenge: Create a new Mangara's spell. 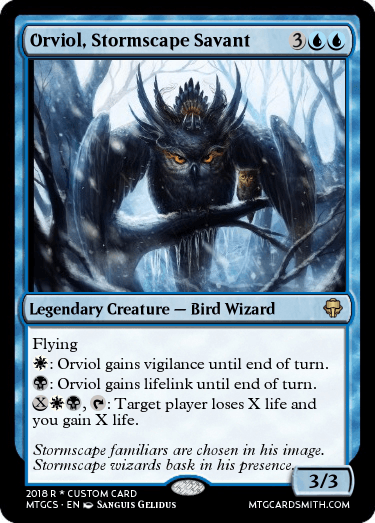 More of a retrain then a fully original card; but certainly evolves from the original. Please sir, may I have some more mystery boxes?